Lease Purchase Truck Driver Jobs – Drive a Brand-New Truck! 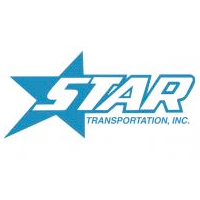 Star Transportation is currently seeking excited and motivated professional drivers who are ready to push towards career independence. Make the rewarding step towards owner operator status, and lease to own a brand-new truck with Star Transportation. Start your business with Star Power! Call to speak with a recruiter, or visit star-drivers.com to fill out a short form and apply today!